Dinesh Dhamija is the founder, former chairman and CEO of Ebookers.com, one of Europe’s most successful internet travel agencies. He is also the founder of the Copper Beech Group, a company that manages investments in sustainable education, ecotourism and real estate. Currently, Dinesh directs sustainable investment projects in India and Romania. Dinesh is a member of the Winston Churchill Memorial Trust (WCMT). He is a patron and advisory board member of the entrepreneurs’ organization, TiE UK, the Governor of the Rainbow Foundation in the UK, an active member of the World Presidents Organisation (WPO) and the Chif Executive Organisation (CEO). In 2006 Dinesh graduated from the President’s Programme in Leadership at Harvard Business School. He has won a number of awards over the years including Entrepreneur of the Year from Management Today Magazine in 2003 and the GG2 Awards’ Asian Man of The Year in 2004. Julian Costley is a former E*TRADE UK CEO, UK’s first all-internet stockbroking firm. He was also a country manager at Thomson Reuters Corporation before creating his own TV channel on BSB (later BSkyB). He then went on to hold the role of UK CEO of France Telecom’s Globecast UK Ltd. satellite company. Since then he has invested in 18 companies and became chairman/NED or adviser to many more focusing on the telecoms, media (TV and publishing on and offline), financial services, and consumer internet markets in the UK, Netherlands, Scandinavia, France, Canada and China. Mr. Costley is an occasional lecturer/mentor/MBA course judge at London Business School, EDHEC Business School (Nice), Said (Oxford University), UM (Barcelona), Skema Business School (Sophia Antipolis) and Universidad de Deusto (San Sebastian). Mr. Cotley is currently working on a book on crowdfunding, commissioned by UK publishers Pan Macmillan Publishers. Mr. Dalmia is a seasoned investment professional with more than 16 years experience in private equity, financial services and investment banking across Asia, Europe and the United States. He was the Managing Director of Saxo Bank’s India entity, Saxo Financial Services Private Limited (“India”). As India’s managing director, Mr. Dalmia successfully signed India’s top financial institutions as its partners and institutional clients. 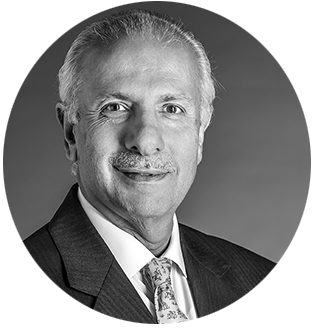 Mr. Dalmia is an advisor to family offices in Europe & India and a consultant to Swordfish Investments LLP, a private equity fund in London. He manages a non-discretionary capital pool of approximately US$20m in the Indian capital markets for family office clients and also represents them in managing global tenders and acquisitions. Dr. Herbertsson is an independent investor and financial advisor at his own company, Taurus SLF and a senior advisor to GAMMA Capital Management HF. Prior to that he was a Member of Parlament (MP) in Iceland for the Independence Party and a Professor of Economics at the University of Reykjavík. Before becoming a MP he was the CEO of Askar Capital Ltd, an Icelandic investment bank. He served as the Special Economic Advisor to the Prime Minister of Iceland during the collapse of the Icelandic banking system in 2008. He was the Director of the Institute of Economic Studies as a Professor of Economics at the University of Iceland before joining Askar Capital Ltd. He has published over 50 scholarly papers and is the editor, author, and co-author of 13 books and monographs on various topics in economics. Dr. Herbertsson has been on the Board of Directors and a consultant to many private companies, banks, and pension funds in Iceland and internationally. Mr. Warwick Hill serves as the CEO in Residence at Microsoft Accelerator London - strategic partner at key stages of a startup's growth. Mr. Hill served as Managing Director of Steljes Limited, Cisco reseller and A&A Communication. He currently also serves as Founding Director at Vyke Wholesale Limited. He is involved with all aspects of the strategic development of IIOS as well as taking on Interim Director Positions. He also provides strategic consulting for Remtech Distribution Limited, a technology company based in London. Mr. Hill is also a founder and CEO of the mobile, app social media platform FanClub. He is renowned for successfully building and selling global companies in the digital sector. Most notable is the sale of 3rdSpace a Digital Innovations Agency that was bought in June 2013 by the Chinese State Broadcaster, one of the largest media companies in the World. Andrew has been in the ‘deal business’ for over 30 years. He was a project finance and leverage buyout banker with Chemical Bank, subsequently transitioning to the bank’s captive private equity business where he successfully led co-investments in over 20 transactions as well as profitable exits from portfolio companies. Andrew has since managed a HINWI pledge fund, successfully negotiated and documented a $300m TMT fund with a large pension fund and supra national institution and advised companies on acquisitions/disposals, and raising equity and debt finance. More recently he has advised early stage companies in a range of sectors before being appointed the CFO of Sberbank’s Fintech early stage fund - SBT Venture Capital – in early 2014.